The following is the manuscript of a talk recently given by Ancient Faith Today host Kevin Allen at an Advent Forum in Merced, California. He has kindly given us permission to publish it in full. It’s a bit longer than most of our pieces, but it didn’t make sense to us to break it up. Tonight I will be speaking about some “points of contact” and common spiritual themes in Eastern Christian spirituality and Eastern religion, especially Hinduism and Buddhism. I will not be doing a doctrine-by-doctrine comparison. What I hope to share are ways we can better communicate our spiritual tradition to Eastern religion seekers, and hopefully at the same time better understand our rich spiritual tradition too. For Christians the conversation with the Eastern seeker will necessarily lead to doctrine—because we cannot explain how to overcome death and make sense of human suffering without reference to the suffering, death, burial and resurrection of our Archetype, Jesus Christ! However this emphasis on spiritual experience has an important precedent. Let’s not forget that the first followers of Christ—the Apostles—were persuaded that Christ was God not merely by doctrine (i.e., the Hebrew prophecies of the Messiah), but also by spiritual experience! Recall the Transfiguration which we still celebrate annually in our Orthodox Church calendar. This is where the Lord’s closest disciples—Peter, James and John—saw the Transfigured Lord in His numinous glory! Would they have believed Jesus Christ was the promised Messiah and the Son of God, had they not experienced His Transfiguration, or witnessed the miracles, the empty tomb and the burial cloth, and His physical (re)appearance after His death before His ascension? Would St Paul have become an apostle and martyr for Christ—after mercilessly persecuting his followers—had it not been for a life-changing post-ascension spiritual encounter that literally knocked him off his horse on the road to Damascus? Christian doctrine developed in response to spiritual experience. It is widely accepted that there is more to reality than just our own conscious selves and the tangible world around us. We seem to have an inbuilt desire to transcend our humanity, to reach out to something absolute and enduring that leaves the limitations of our bodily selves behind. I believe this appropriately expresses the spiritual yearnings of both Hindus and Buddhists as well as our Eastern Christian spiritual tradition. This is where we sill begin. One of the first areas where Eastern Christian spirituality converges with Eastern religions is the with diagnosis of the human condition. All living things suffer, age and die. All three religious traditions—Eastern Christianity, Hinduism and Buddhism—find this condition unnatural and untenable and seek a spiritual remedy for it. (Of course the remedies are quite different and unique to each tradition.) The Hindu Upanishads (sacred texts), for example, teach that life is changeable by nature, transitory and ephemeral, lacking fundamental substance. Things are not as stable and permanent as they appear to be to the five senses. Pain and pleasure are two sides of the same coin. The prescribed remedy is detachment, contemplation, ascesis and spiritual discipline leading to a “religious experience,” or an enlightened state. Five-hundred years before the advent of Jesus Christ, the Buddha was profoundly affected by observing sickness, old age, and death. He concluded that attachments to this life are what produce suffering, and the Buddha sought a way beyond the suffering of the implicit processes of human life. His prescription was the “Four Noble Truths” and the “Eightfold Noble Path” as the spiritual remedy. The Christian Church Fathers of the East teach we are born into an “unnatural,” “sub-natural,” or as commonly referred to in Western terms, “fallen state,” in which we find ourselves subject to sin, suffering and death (i.e., human mortality). Hindus and Buddhists agree with Eastern Orthodox that this condition in which we find ourselves is “sub-natural” (they call it the state of Samsara). According to the church fathers this was not the original or intended condition of mankind, which was supposed to be a spiritual ascent to God. The Christian life, they teach, is a return, through spiritual work and by the grace of God, to an authentic and truly “natural” condition according to the Image of God deposited within each human soul. This is when we begin to reflect what is truly “human.” All of mankind, Christian or not, has this Image of God indwelling them—corrupted, obscured, defiled, or tarnished as it may be; aware or conscious of it or not. “In Him was life, and the life was the light of men” (John 1:4). This is a universal, not a sectarian, truth. Buddhists, by the way, have a similar concept of the Buddha-nature (Buddha-dhatu). Hindus believe the inner man (Atman) is of the same essence with God (Brahman). For these Eastern traditions, the spiritual life is the chipping away—through various spiritual disciplines—of what is false to discover or uncover what is real. The Church Fathers teach we are on a journey of spiritual transfiguration: back to the “natural,” according to the Image of God in us, and then beyond the “natural” to the “supra-natural,” or “beyond nature,” state. This process of transfiguration is called theosis, according to the Likeness of God. This must be worked out in our spiritual lives, as St. Maximos the Confessor tells us, by subordinating the lower parts of the soul (our thoughts, fantasies and reasoning powers) to the highest part of our soul (which is the spirit). He writes, “the true ruler is he who rules over himself and has subjected the soul and the body to the spirit.” We do this in concert with the grace of God in the ecclesiastical community with the help of the deifying mysteries or sacraments of God. Illumination: “In the second stage, man ‘comes to himself’, and he begins to have humble thoughts that attract grace and make his heart sensitive.”. (All quotes above from The Hidden Man of the Heart by Archimandrite Zacharias). The three Eastern spiritual traditions also agree on the nature of the passions of the soul in its corrupted (Hindu: Samsaric) condition; these include: ignorance (delusion) of the nature of reality, craving or desire and attachment to what is impermanent, all of which lead to death. Each tradition prescribes ascetic discipline, detachment, watchfulness and contemplation as ways to heal the passions. In Orthodox literature, the term “passion” (pathos in Greek) is used in two ways: 1.) bad thoughts charged with emotion; and, 2.) vices (kakiai in Greek)—that is, thoughts that become habits, or settled dispositions of the soul, or bad traits of character. All such “passions” are regarded by the fathers as diseases of the soul in need of therapy. Removing them from the soul is a process called “purification” which is aided by Divine grace. Metropolitan Jonah (Paffhausen) has spoken about Christianity as a spiritual path. He said in an interview that Orthodox Christianity is about the “transformation of…consciousness, a term that most people leave to the Buddhists. But transforming consciousness is our [Christian] terminology too” (author’s interview, 2009). Later in the same interview he quoted St. Isaac the Syrian, who when asked ,“What is eternal life?” replied, “It is consciousness of God.” So a transformation of consciousness is a spiritual theme we share with Eastern religion. This is language by the way that resonates deeply with Eastern religion seekers and practitioners, for whom the goal of their spiritual labors is a radical modification of consciousness. Of course for Christians the goal of the spiritual life is not some “self-transcendence” into some Impersonal state, but as St. Paul exhorts us: “Let this mind be in you which was also in Jesus Christ” (Phil. 2: 5). Eastern Christianity is a true spiritual path of transfiguration: it is a guided journey, not a solo trip, because we live in community under the guidance of spiritual fathers and elders. It is an ascent to God beginning in this life and is never-ending. It is a spiritual path I believe superior to Hinduism, Tibetan or Zen Buddhism because it leads not only to a change in consciousness in the psychological and created contexts, but also opens the door to the uncreated. Orthodox spirituality is not merely an abstract, emotional and psychological state of being. It is man’s union with God. This is the point I would respectfully make with the Eastern religious seeker: the disciplines they practice we consider within the realm of created being (which includes what we would call the paranormal) and within the psychological dimensions, and no matter how deep they appear to go, no matter what the nature of the spiritual experience, they do not penetrate the uncreated, or Divine Realm. 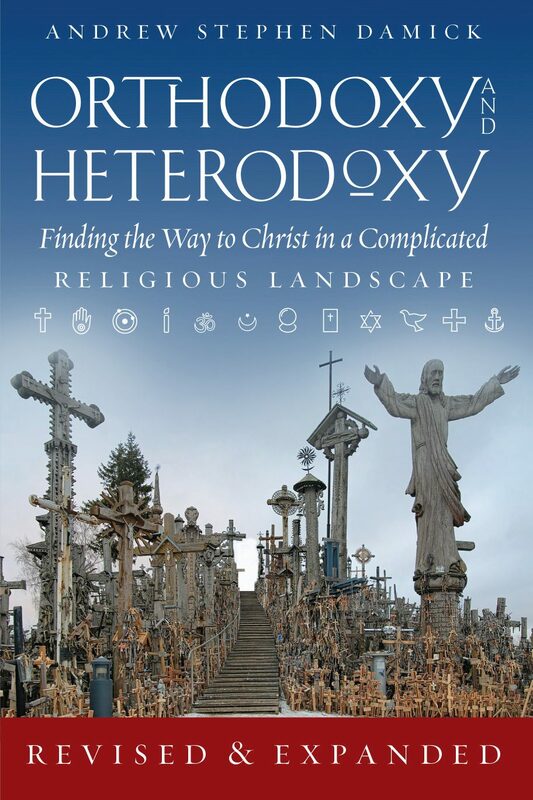 Father Andrew S. Damick, the author of the excellent book Orthodoxy and Heterodoxy, once received this insight from one of Elder Sophrony’s spiritual children: Such contemplatives may sometimes encounter glory, but it is the created glory of man, for man does have his own glory. This is not an experience of the divine, however. The door to the Divine realm is Jesus Christ because He IS divinity! I should point out that in the Eastern Christian spiritual tradition participating in the divine nature through the Holy Spirit does not imply a union with, or absorption in, the essential nature of God (unlike Eastern spiritual traditions). We do not, and cannot, ever become what God is by nature; nor do we ever lose our personhood, like the Eastern paradigm of a raindrop merging in the ocean. However, by God’s grace we can become and are called to become, “God bearers.” As the revered contemporary spiritual elder of the holy mountain Elder Paisios said: We are to become like radio operators, receiving and transmitting flashes of the Uncreated Light. We see the reference to theosis by the monastic Fathers most often in connection with the Transfiguration of our Lord on Mount Tabor, which one scholar reminds us, “is a revelation of the true stature of our human nature, a stature that our first parents in the Garden of Eden failed to attain.” The Transfiguration is thus a paradigm for our own transfiguration, not merely an interesting story about Jesus, and a foretaste of the world to come and thus the goal of our salvation. This is why it is one of Holy Church’s major feasts. This view of transfiguration as salvation is in contrast with the Western Protestant view of “justification” of the believer in the sight of God, as a sinner. In the Western Protestant perspective, justification of the believer proceeds from the alien righteousness of Christ and imputed, or transferred, to us by faith. This is understood as an extrinsic reality (from the outside); or as some put it, forensic righteousness. For Luther and for most Evangelicals, for example, sin and righteousness always continue to coexist in the believer; believers always remain sinners inwardly, but are made righteous extrinsically in the sight of God. Justification in Western Christian theology is understood more as a legal or juridical transformation rather than a spiritual transformation. 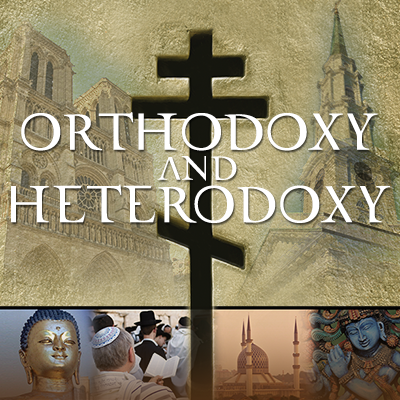 Although Orthodoxy acknowledges that scripture (especially in St. Paul’s Epistles) does include legal language to describe the atonement (although we believe such language is used metaphorically, or for descriptive purposes), Orthodox reject the exclusively forensic understanding of Western theological doctrine. On the other hand, Eastern Christianity, and even Blessed Augustine, the most influential church Father of the West, teaches that righteousness and holiness are not only possible for the believer, but are a necessary precondition of illumination and salvation. The teaching that “blessed are the pure in heart for they shall see God” can be taken at face value. The believer can be made righteous by God’s grace intrinsically by participating in the deifying mysteries of God (sacraments) and through the believer’s efforts to struggle with his or her unvirtuous passions. This is despite our bent nature (which is never “totally depraved” or lacking in free will). Of course, this view is consistent with the many scriptural texts that refer to God’s ultimate judgment of our words, thoughts and actions at the Final Judgment. Without the possibility of actual sanctification or righteousness, these texts would make no sense. One of the main ways this personal “transfiguration” and “participation in the divine nature” takes place in us is through the deifying energies of God in and through the Holy Mysteries, of which the chief is the Eucharist. This is where we partake of the mystically-present and real Body and Blood of the Risen Incarnate God, whom the scriptures tell us is “the express image of His person” (referring to God). Communion is an intensely mystical practice of Christianity. In fact its more mystical than meditation. People have somehow forgotten that communion is a level of mysticism even more advanced than…yoga and Zen in other cultures. The Lord Himself promises the “vision of God” in Matthew 5: 8: “Blessed are the pure in heart for they shall see God.” For the monastic Fathers of the Eastern Church the vision of God (called by the Greek Fathers theoria), became a central preoccupation beginning with Ss. Ireanaeus, Evagrius, Macarius, Symeon the New Theologian and later Gregory Palamas. While he was saying such things with pain, a subtle breeze full of fragrance came from the church, filling his soul—as he told me—with joy, illumination and divine love; and from within, the prayer began to flow ceaselessly from his heart like honey. So he got up and went inside the place where he was staying, for it was already night. Then he bent his head upon his chest and began eating the sweetness that gushed forth from the prayer that he had been given. Immediately he was caught up into theoria and was totally beside himself. He wasn’t confined by walls and rocks; he was beyond all volition—without body and with a deep tranquility, in extraordinary light, and unlimited breadth. His nous contemplated only this thought: “May I never return to the body but remain here forever.” This was the first theoria that brother ever saw, who then returned to himself and continued struggling for his salvation. “But how,” I asked Father Seraphim, “can I know that I am in the grace of the Holy Spirit…I need to understand completely. Eastern Christianity has a rich contemplative tradition called Hesychasm, which in Greek means “stillness”. It is identified with the monastic tradition of Mount Athos in northern Greece which has been the “laboratory” of Orthodox spirituality since the 9th century A.D. This contemplative tradition is another point of contact or convergence with the spiritual traditions of the East, which place a heavy emphasis on forms of meditation. For the Greek fathers the human being is spirit, soul and body. This is different from the anthropology of Hindus and Buddhists, especially with respect to the body which they view merely as a “sheath” or an “earth suit.” For Eastern Christianity the human body has been sanctified by the Incarnation and is an integral part of the human person. Asceticism for example is not understood as a rejection of the physical; rather it is intended to “spirtitualize” the physical. In Orthodox spirituality, the spirit is the highest part of the human person. It is the superior faculty with which a person is able to seek God. It is the seat of the human person (nous), identified with the Image of God (which constitutes his true “humanness”) and by which the human person enters into communion with God. When the spirit is directed by the fallen will to focus externally it becomes scattered, and misses its true purpose. When it is gathered in prayer and deified by the sacraments and grace, it descends into the heart (nous) where it communes with God and experiences a taste of paradise (deification). The purified heart is where we encounter God. The Orthodox tradition teaches us the Jesus Prayer is the primary means by which this noetic unity is achieved. In Eastern religion there is no permanence or ultimate reality to human person-hood (except in some branches of Hinduism, like Vishnaivism). As already mentioned the human body is seen as inferior to the soul. Both the Hindu, Buddhist and the various Gnostic traditions see life as a duality, a struggle between the realm of pure being or consciousness (the world of spirit) and the world of phenomena and materiality (time, space and causation) in which humans are imprisoned. Not so in Christianity. We are born as creatures in a world created for us, corrupted as it presently is. In Eastern Christian spirituality we are eternally persons. Persons are a unity of Spirit, Soul, and Body. We are reminded that we were known before we were formed in the womb by God (Jer. 1:5) and are eternally known by God and called into relationship with God. We never lose our unique and distinctive person-hood. Therefore – as distinct from the Eastern religions—self-transcendence is achieved not by losing our personhood or being absorbed in a “indefinable pure consciousness free of all attributes” (as in Brahman Hinduism, as defined by Swami Nihhilananda); or by snuffing out the false and transient false self and achieving the wisdom of emptiness (Buddhism), but rather by assimilating ourselves in Christ. This is what being “in Christ” means. For the patristic fathers human nature is understood as a unity: we all share one nature. This is how Christ’s death and resurrection affects our common and universal humanity (and our personal humanity). This view is different from the Eastern view of the unity of existence which is called monism—that all things are one in “the all-embracing unity of animate and inanimate”—of God, souls and the universe. It is also different from the Buddhist view that all things are empty of ultimate reality. Eastern Christianity teaches that created being has been sanctified by the Incarnation of Christ. Life is thus sacred and precious. We see all around us in our culture the impulse of secular humanism: the so-called ideal of the perfection of man apart from God. We see this attempt to perfect man without God. For Eastern Christian spirituality, the perfection of man is only possible because the ‘image of God’ was deposited in man, according to which man was created (and which is the source of what is distinctly “human”), and which progresses to the likeness of the Creator through the deifying mysteries of the Church. It is an entirely spiritual anthropology encompassing all of man, including the faculties of his soul and body and their potential of being spiritualized. Mahayana Buddhists daily “take refuge” in the Buddha, the Dharma (the teachings of the Buddha), and the Sangha (the Buddhist monastic community). Orthodox Christians, on the other hand, take refuge in the Father, Son and Holy Spirit; but we also depend upon the Christ (Jesus, the Word of God), His Dharma (teachings), and the Sangha (the Church). We share with Eastern spiritual traditions a cosmic view of life. Eastern spiritual traditions teach the interconnectedness of the cosmos in their view of monism. Eastern Christian spirituality is cosmic in the sense that our vocation is to actively cooperate with God to reestablish the original beauty and integrity of the universe in which we were placed at the moment of creation. Our vocation is the perfection and deification of the world. This is not understood in terms of a blending of distinctions in a vague “oneness” of all creation; nor is it understood as a political, or utopian social system (i.e., a “social gospel” or a particular social teaching); but rather as cosmic sanctification possible through the Incarnation and made possible through the sacramental life of the Church. Hindus and Buddhists both have ancient monastic traditions. Monastics are called Sanyasi or Sadhus in Hinduism and Bhikkhu or Bhiksu in Buddhism. In both traditions, there is a strong distinction made between the monastic life (the ideal spiritual life for the attainment of spiritual development), and what they call the life of a “householder.” I was told by both Hindu and Buddhist teachers that when a soul is truly ready for serious spiritual work in a given lifetime, he/she will of necessity become a monastic. From the beginning of the Christian movement, the monastic life was considered the authentic Christian life, too. The monks were those who wanted the fullness of the spiritual tradition, and in the case of Christianity to observe all of the commandments and were therefore considered the true Christians. “If you want to be perfect,” the Lord said, “go, sell what you have and give to the poor, and you will have treasure in heaven; and come, follow Me” (Matt. 19:21). Their flight from the world, their rigorous asceticism aimed at the very goal of baptism: to purify the Image of God in man which has been tarnished and to give back to it its full splendor. Much of what has come to be known as the “spirtitual tradition” in Eastern Christianity, Hinduism and Buddhism come from their monastic traditions and practices. Although Eastern Christian contemplatives understand the spiritual connection between themselves and all of humanity through a shared nature, they frequently thought it useful to live out this union isolated from other human beings. They saw in the eremitic life the means of intensifying their relationship with God through prayer and without distraction, and putting to death their self-will; as St. Paul says, “having nothing and yet possessing everything” (2 Cor. 6:11). We see this eremitic tendency especially in Hinduism, less so in Buddhism, which advocates living in a Sangha or monastic community. Eastern Christian rubrics abound with repetitions of the Lord Have Mercy or Kyrie Eleison, with constant requests for the remission of sins. This does not come from a spirit of sadness, pessimism, or lack of faith in God’s mercy (one sometimes hears from Evangelical critics: “Why do they always ask for God’s mercy? Don’t they believe Christ obtained God’s mercy for us on the Cross?”) but rather from a joyous faith: from the belief that sin is the only evil, and that sin can always be wiped out by repentance. Repentance is the key to self-emptying (kenosis) and the key to the overcoming of the ego and is key to Eastern Christian spirituality. Neither Hinduism or Buddhism have a tradition of repentance as such. They strive to overcome the ego, but go about it in different ways. Despite what modern Christians seem to believe, asceticism has deep biblical roots: “But I discipline my body and bring it into subjection, lest, when I have preached to others, I myself should have become disqualified” (1 Cor. 9:27). Asceticism has always been seen by the Eastern Christian ascetics—then and now—as a return to nature created by God, a purification of the heart and the world, and a testimony to the power of the Holy Spirit. Buddhist ascetical communities have much in common with the life-style of the early Desert Fathers and Mothers of the Church, a fact which was beautifully drawn out by the Japanese scholar and artist Yushi Nomura in his book, Desert Wisdom: Sayings from the Desert Fathers. Nomura used Zen-style illustrations and brief quotes from the Fathers to demonstrate the similarities. Both seek to extinguish the passions and to tame the flesh. Both seek tranquility (hesychia in Greek). Both advocate radical simplicity of lifestyle and a total acceptance of what the day might bring. Last, the contemplative spirit found in the Eastern Church goes hand in hand with its eschatology (i.e., death and its aftermath, final events of history). Eastern Christian spirituality, with its liturgies, sacraments, contemplative practices, and ascetic ethos purify and transform our senses to see God in everything! In conclusion, this is where man’s ultimate perfection lies, and what constitutes the “spirituality” of Eastern Christianity: to enter through the narrow gate of repentance, self-emptying, and to assimilate into Christ (Who radiates His God-ness to us through His deifying energies), and to be transformed by grace so that one is conscious of the presence of God within creation and becomes a God-bearer himself. The difficulties presented by these sayings reveal difficulties with the Kingdom of God when it is misunderstood in a forensic or legal manner. If the Kingdom of God is just one more thing that we get into—in which simply being-there-as-a-reward is the point—the gospel becomes rather pathetic and the God behind it, alarming. The way into the Kingdom is difficult, the path narrow, because the way itself is actually difficult and the path is actually narrow. These things are not true because God wants it to be hard for us to enter the Kingdom—they are hard on account of the nature of the spiritual disease that afflicts us. No one is surprised to be told that the path to the remission of their cancer will be difficult (generally we are simply glad to hear that there is any path at all!). Nor do we blame the doctor for the difficulty of our treatment. The spiritual disease (sin) that afflicts us stikes at the very fiber of our humanity, the very mode of our being. St. Paul describes sin as corruption (φθορὰ), a word that essentially means “rot.” It is what happens when the process of death works in us unchecked. Death corrupts us, body, soul and spirit. The life of change and healing (being transformed from glory to glory into the image of Christ) is the narrow way. The borders of the road are marked with radical honesty and a willingness to endure and engage whatever is required for the transformation. We move from the fragmentation of our individual life towards the integration and wholeness of life in Christ, characterized by the fullness of self-emptying love. This is the life of grace—but grace can be painful and will take us down the difficult path. St. Paul was knocked off a horse and blinded by grace. We are all invited to enter the Church to receive such grace, and to experience heaven on earth—and to enter into Paradise in this life and the next. Kevin Allen hosts Ancient Faith Radio’s live listener call-in program, Ancient Faith Today, heard twice a month on Sunday evenings on Ancient Faith Radio Talk. He is a member of Saint Barnabas Orthodox Church in Costa Mesa, California. Regarding Buddhism: some important differentiating distinctions are missing here, and there is some misunderstanding. Buddhism, for instance, is not dualistic. It does not consider the body as a sheath. Rather, it considers the body and the self as illusory manifestations of attachment. A major doctrine of Buddhism is that there is no enduring self, only a relative self that is the result of attachment. The self and perceived realities arise co-dependently and interpenetrate each other; insight into our true nature, the objective of Buddhist mindfulness, results in the realization, or enlightenment, that our nature is the same as the nature of all existence, constantly changing and in flux. That’s why Mahayana Buddhism asserts that samsara and nirvana are the same. There is no permanent state of nirvana. Nirvana is the realization at an intuitive level that constant change and impermanence are reality. Becoming, not being, is what we and existence are. So, in Buddhism, there is no God, and there is no self. The objective of spiritual practices is to detach from the illusion that there is any such thing as self or anything outside self that defines any static being. This is a basic distinction between not only Christian and Buddhist doctrine, but also spiritual practice and objectives. And it’s also why the phrase “engaged Buddhism” is an oxymoron, since the whole purpose of Buddhist practice is to disengage/detach. Any perceived similarity between Christian and Buddhism in areas of practice and values is the result of the coincidence of certain words that in fact do not carry the same meanings because they are embedded in completely different language-meaning systems. Thank you for sharing this. I found it very helpful! I was wondering if you could elaborate on Theme 6: Cosmic Orientation, particularly on the difference between our vocation as setting up a utopian social system versus our vocation as cosmic sanctification. I am currently a member of a Mennonite church, and the social gospel is a strong part of many Anabaptist denominations. I’m just trying to wrap my head around what is meant by “cosmic sanctification” and its implications for how we live our lives. What does that look like when it is lived out? Kevin Allen: As a former Buddhist, my comments were made from the perspective of what I take to be Buddhist self-understanding. I agree that Buddhism ignores certain logical questions about the one and the many rather than dealing with them (I believe it willfully refuses to acknowledge them), and as a result both the epistemology and the metaphysics of all branches of Buddhism are ultimately deficient and incoherent. I appreciate the attempt to find areas of convergence between Buddhism and Christianity, even though I believe Buddhism is essentially false, because I believe that God works mysteriously even in the midst of deficient systems of belief to bring people to virtue and truth, for instance sometimes using non-christian religious practices that cultivate peacefulness, compassion and equanimity; I believe that when God condescends to do so, it is always in preparation for bringing people into direct relationship with Jesus Christ. I, nevertheless, am wary about making positive comparisons, because I’m aware of how quickly Buddhists jump from such positive comparisons to positing some assertion of a kind of perennial philosophy/practice that transcends both Buddhist and Christian doctrinal particulars, which is really an attempt to appropriate Christian theology and self-understanding into the miasma of Buddhist epistemological relativism, which in turn is a cloaked metaphysical imperialism . Christianity must always assert the singularity and uniqueness of Jesus Christ and the Trinity; I don’t mean to deny that your post has done that. I guess I have a hair trigger when it comes to this subject, because I’ve experienced first-hand how seductive the illusion of Buddhism can be, and how hard to escape. Thank you for your thoughtful reflections. Our fathers in the faith teach that if we take responsibility for the transformation of our own souls and consciousness (and related to this living the “virtues”) we are also participating in the “cosmic” transformation of the cosmos, because each human being – we are taught – is a microcosm of the cosmos. We share a human nature and to the extent that we are transformed, so are others. This is why (and how) St Seraphim of Sarov could say: ” Save yourself and thousands around you will be saved”. Hope this helps and is not “too philosophical” or abstract! Thanks for taking the time to respond, Kevin. Does this mean that working to amend social evils is not part of the cosmic sanctification, or does it mean that it happens naturally as a part of taking responsibility for our own transformation? St. Seraphim’s quote makes a lot of sense to me, but I guess I’m trying to figure out where our role is in the social context (in terms of alleviating the effects of sin in our world as much as possible, e.g., feeding the hungry, clothing the naked, etc.). Paul, I want to add that by saying “taking responsibility for the transformation of our souls and consciousness”…it is not meant that we believe we can do this outside the uncreated grace of God, or through our own efforts. It is done in concert with the will and grace of God. I understand that aspect, Kevin. I think that is one area where Mennonites and Orthodox are closely aligned. I think the emphasis of Orthodox teaching is (first) transformation of one’s own soul; but at the same time caring for those around us is the way we live out one’s personal transformation. When I talked about “cosmic sanctification” not being about establishing a new social order, I meant in some political sense – socialism, communism, a utopian social ideal, etc. Ah, that clarifies it for me and makes perfect sense. Thank you for taking the time to answer my questions! If by repentance you mean the reviewing of one’s actions and feel contrition or regret for something one has done or omitted to do, then Buddhism certainly has traditions of repentance. For instance, in Theravada Buddhism, a regular practice for monks and nuns is confession and repentance of unskillful actions (“sins”) in the presence of other Sangha members. Agni, I stand corrected! Frankly I am best off not including Buddhism in my reviews because I am not really famiilar with Buddhist teachings. My background was in Hinduism! Thanks for the correction. This is wonderful stuff. I envy Orthodox Christians if their churches and pastors really communicate this rich understanding well to them and shepherd them in these ways throughout their lives. Coming from Methodism, the emphasis on sanctification and on salvation being a process for the here and now, are very familiar to me. One of Charles Wesley’s greatest, “Love Divine” calls upon God to “take away our bent to sinning . . . set our hearts at liberty.” Many of his hims speak to God’s sanctifying grace. I am a lifelong Orthodox christian, have had an almost lifelong interest in other eastern religious systems, and have spent a significant amount of time in India. I feel like I’ve also spent most of my religious life waiting to read this piece of writing.